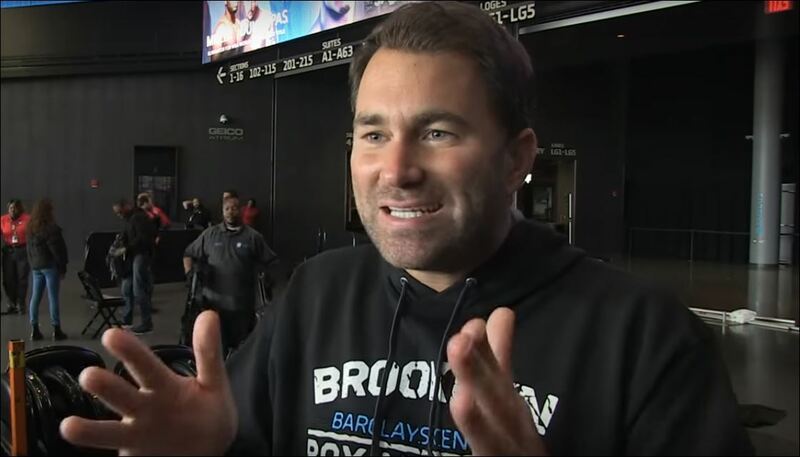 Leading boxing promoter Eddie Hearn appears to be freshly charged for battle as the new year’s boxing schedule kicks off this month. The controversial Londoner brings about a myriad of sentiment on social media both positive and negative but say what you want about him, he tends to engage with fans perhaps more than any other promoter out there. A last-minute scramble has seen a quick card put together by Hearn this weekend in the US on DAZN that won’t feature heavyweight Jarrell Miller as it turns out. But that hasn’t dampened good old Eddie Hearn’s spirits. On a serious note Hearn returns to America this weekend where fighting on his latest boxing bill will be the supremely talented Jorge Linares who boxes in his 50th fight. IBF World Super-Bantamweight from Ireland TJ Doheny and WBO middleweight champion Demetrius Andrade will also be fighting on the bill this weekend at Madison Square Garden in New York.